Ok, now that the Super Bowl XLVII is over, it's a good time for me to catch you up on some of the things that I have been shooting over the past month or so. 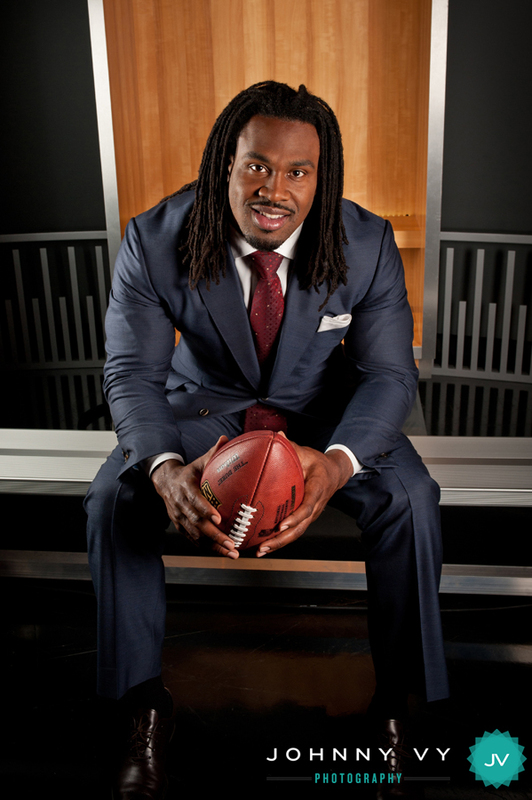 It's now officially the off-season in the NFL, which means that we'll be looking at shooting more portraits as players make their way through the rounds at the NFL Network. 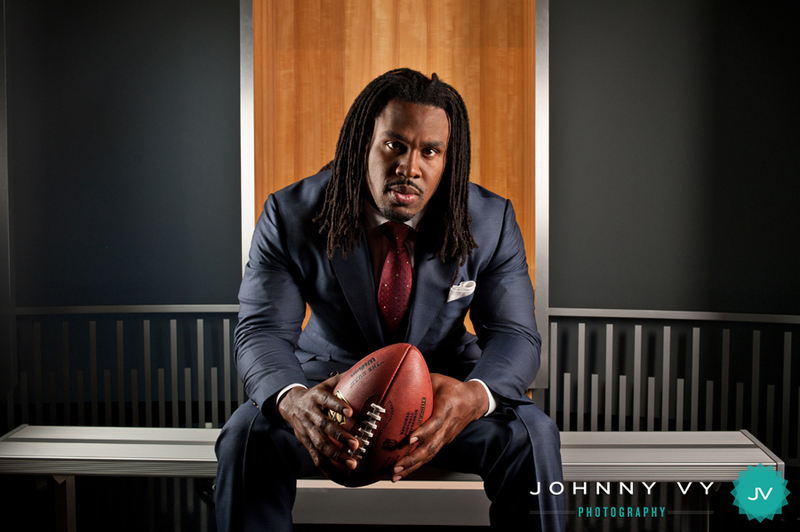 St. Louis Rams running back Steven Jackson was my first NFL portrait in 2013, as his team's offseason started a bit earlier than the other teams who made the playoffs. Anyway, a little bit about the portrait - the original idea was to have him sitting in front of a locker, with a jersey hanging in the back. When they got there, however, we were reminded by his publicist that none of the equipment that we had on hand were usable since they were not his sponsors. So in the end, I shot a portrait with none of the accents that I had intended to use, but I think it ended up looking a lot cleaner that way. The symmetry of the locker's metal really gave it a nice touch (I like my symmetry in my portraits), and it was just a good simple look overall - in fact, it doesn't even look like a locker, which I like even better. Anyway, lighting was done with two small soft boxes on each side. In the horizontal image, you can see how either side of his face has a highlight, which I like to do a lot to create a dramatic look. Then for the vertical image, I moved the light on the right to be the key light, and made it more of a frontal light source, eliminating the shadows on his face.